The Italians, led by world No 13 Fabio Fognini are superior to India on hard and clay courts, but might struggle on grass. NEW DELHI: Davis Cup non-playing captain Mahesh Bhupathi on Saturday said the recent spate of positive results by Indians on grass will give the hosts an advantage when they take on Italy in February. "Ramkumar made the finals for Newport this year on grass, Prajnesh qualified and beat Dennis Shapovalov on grass. Seeing that grass is an advantage for us." Bhupathi told PTI on the sidelines of a Kia Motors event where 100 young tennis fans of the country underwent a rigorous audition process to be selected as the ball kids for the Australian Open 2019. "Italy has 6 players in the top-100, where do we have a chance against them? The only logical answer is grass. Playing at home we always have a chance. In Kolkata on grass, we will throw something at them and see how it goes. Grass is our best shot," he said. Asked about the new Davis Cup format consisting of a six-player squad playing three-set matches over two days, Bhupathi said it would benefit India. "The new format for the Davis Cup will be beneficial for India because when you want to beat someone like Fabio Fognini it's easier to do it in two sets than three sets. When playing a better player beating him 2 out of 3 is much easier than beating him 3 out of 5." India has been unable to qualify for the World group stage despite winning consistently in the Oceania Group and Bhupathi believes it is because of the lack of top-100 players in the team. "We have nobody who is capable of playing world group level. World group level is top-100, how do you compete with top-100 players when you are not in that bracket." Bhupathi said that to popularise a sport, money should be pumped in for the development besides giving it a priority status. "We don't have a culture of tennis in India. We want to see a singles grand slam champion from India one day. But that's not possible because there is no culture of the sport in the country. China spent hundreds and millions of dollars for 20 years before Li Na won a grand slam." "Sania Mirza created a revolution 10 years ago in India, she broke all boundaries, she played the third round of the Australian Open, Wimbledon. Everyone in India was watching but what happened after that? We don't have five Sanias. Tennis is not a priority in our country." 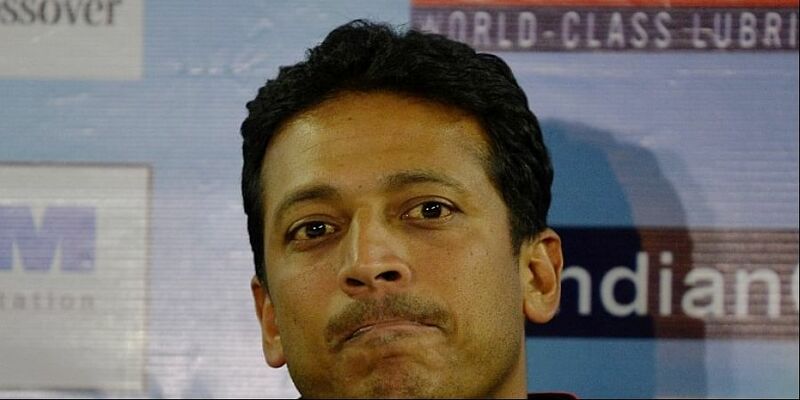 However, Bhupathi believes all is not loss and Indian tennis is headed in the right direction. "For the first time we have three boys in the top-150, Prajnesh, Ram and Yuki. This has never happened before. We are going in the right direction but the culture is missing. We are always No 1 or 2 in cricket because we have a culture of cricket without the culture you can't expect miracles."